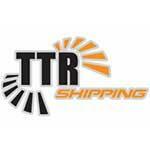 ~~TTR Shipping, the copier and equipment shipping experts. TTR Shipping stands above the rest with the highest quality of customer service . Our friendly and knowledgeable staff are standing by and ready to assist. We are always willing to go the extra mile to satisfy our customer’s needs. Nationally and competitive pricing on LTL truckloads from coast to coast. 7 day pickup & delivery. Day specific loading, if needed. We handle all of your packaging needs. We specialize in end of lease return shipping and are the preferred shipping vendor of copy dealers, leasing companies and businesses nationwide. Our customers choose TTR because we make the lease return process easy. From our fast quote turnaround to specially equipped trucks, we make shipping copiers and lease return shipping simple. CDL Class A Drivers - Los Angeles, CA ~~ Rapid Growth has opened up new lanes for us to hire drivers. Special commodities shipper looking for drivers with a clean driving record; 2 years driving experience a must; moving experience helpful; WILL TRAIN. MORE HOME TIME!!!! Don't pass up this opportunity!! We are an established company looking for drivers who want a steady year-round full time job and income. Drivers must complete daily electronic log books and are provided with a fuel card. All Drivers must be able to push/pull or lift at least 50 lbs. All drivers must be familiar with and perform a daily pre trip and post trip inspection on their truck. CDL Routes are dedicated 5 days a week. We pay all drivers salary and offer many benefits including, Medical, Dental, Vision, Long and Short Term Disability and 401K. Drivers are also paid a per diem for any night spent away from home. FIRST YEAR SIGNING BONUS ~ $2500.00 Don't Wait - fill out our application online at WWW.TTRSHIPPING.COM under the careers tab. TTR Shipping is a specialized transportation carrier. We haul copy machines, medical equipment, Server Equipment, Mail Machines and other high value assets. All freight is loaded and unloaded by the driver. As well as, padding, strapping and securing of the freight for transit. Very rarely will the freight be palletized. Drivers must complete daily electronic log books and are provided with a fuel card. All Drivers must be able to push/pull or lift at least 50 lbs. All drivers must be familiar with and perform a daily pre trip and post trip inspection on their truck. All drivers work Monday through Friday and have Saturday and Sunday off. Drivers may get home throughout the week; however, typically they are out 3-4 nights per week. We pay all drivers salary and offer many benefits including, Medical, Dental, Vision, Long and Short Term Disability and 401K. Drivers are also paid a per diem for any night spent away from home. Two years of driving experience a must; moving experience helpful; WILL TRAIN. We are an established company looking for drivers who want a steady, year-round, full time work and income. FIRST YEAR SIGNING BONUS ~ $1000.00 don’t wait - fill out our application online at WWW.TTRSHIPPING.COM under the careers tab. CDL Class A DRIVERS - Rapid Growth has opened up new lanes for us to hire drivers. Special commodities shipper looking for drivers with a clean driving record; 2 year driving experience a must; moving experience helpful; WILL TRAIN. Competitive Salary, health benefits, and 401K. MORE HOME TIME!!!! Don't pass up this opportunity!! We are an established company looking for drivers who want a steady job and income. CDL Routes are dedicated 5 days a week. Don't Wait - Send Resume TODAY!!! SIGNING BONUS!!!!!!!!!!!! !